Click the picture to learn more about this book. Kid Loki! If you’re not sold right there, then I suppose I’ll have to write some more about this book. He’s the mischievous trickster everyone loves to hate! Thor has a serious hero problem. He’s a pretty dull guy. (Unless he’s getting mad at the Hulk or Iron Man. All of those early Avengers had serious anger management issues.) He’s mellowed a lot since those early days with the Avengers. Unfortunately, he’s kind of a square, even with his long, golden locks, and his giant mystical hammer. Fortunately, he’s got Loki. Even in the original Norse mythologies, Loki’s trickster role was crucial for livening up those old sagas. (The Trickster Motto: ‘Making oral history fun for millennia!’) Every hero should be so fortunate as to have such an interesting arch-nemesis/sometime ally. Unlike Batman’s Joker, who’s steeped (especially recently) in a somewhat off-putting chaotic destructive nihilism, Loki and Thor have all this family history and sibling rivalry to fall back on. Anyway, this brings us to Kieron Gillen’s comic, which is not unlike any other superhero comic you’ve ever read, because it isn’t actually a superhero comic. It’s more like a Norse saga in comic book form. I don’t understand the back story at all, but somehow adult Loki died, and then came back as Kid Loki, and everyone’s willing to give him a chance, because he’s a kid, and Thor vouches for him. Even so, no one especially trusts him much. Loki goes on this secret epic quest, and lots of fun stuff happens. I’d really recommend this one. If you’re not into the superhero stuff, Kieron Gillen wrote a pretty excellent non-superhero comic about magic and music called PHONOGRAM. I remember very little about this specific book, mostly because I’ve read several of Eric Powell’s comic, and they do tend to blur together a bit. 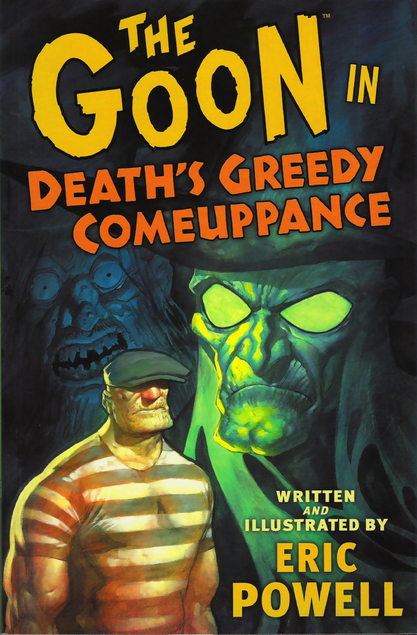 THE GOON is bewildering, because it’s utterly grotesque, but in a way that I find vaguely charming. Perhaps it’s the humor, or the wordy playfulness–I mean, “Death’s Greedy Comeuppance” is so so lovely/funny. The titular Goon is a terrifying thug with a heart-of-gold (or perhaps a heart wrapped in gold foil), who’s always getting into some scrape or another. There’s circus-stuff, strange magic, zombies of some kind or another, and hideous monsters, as well as The Goon’s runty, wise-cracking sidekick. Thank goodness for wise-cracking sidekicks, because The Goon’s not exactly oozing charm and wit, apart from the lethal variety, that is. The art in this comic has a gritty harshness to it, with the characters themselves being more on the cartoonish side of things. There’s just a strange (and entirely deliberate, I’m guessing) juxtaposition of tone at nearly every level. With all the weird goofiness, there’s also some real heart-breaking stuff. I have to give it to Eric Powell. He’s created a comic that lets him explore pretty much the full range of human experience. Don’t let the surface fool you. Like The Goon, THE GOON has a lot more going on than it seems at first. Also, though I’m usually a stickler for reading things in order, you can jump in pretty much wherever you like with THE GOON and be ok. This was the last book added to my books spreadsheet. I read this one to Max about a month ago. It’s a strange one, but Max was into it. The art seems vaguely reminiscent of Paul Pope, though cleaner and less ugly. This book has a lot going on. A somewhat evil magical woman/necromancer, zombies, a giant bear thing, a terrifying cat beast, honey, swords, flashbacks, a very localized apocalypse. This princess goes wandering off into the wilderness to prove herself in an attempt to convince another long lost tribe to join with hers. She arrives, only to find that this other tribe has been destroyed, with only one young man and a not-very-old woman remaining. Stuff happens, and the source of the destruction is revealed. The author does a nice job of steering away from a simplistic good and evil stance, while exploring the messiness and damage that history and family set, almost as traps, for younger generations. Ignorance of that past history, either though denial or loss, can leave the young baffled and bewildered as they struggle to make sense of the world. Pretty complicated themes for a kid’s book, and it didn’t pull any punches, but Max stayed right with it, asking insightful questions the whole way. I watch him grappling with the world, and his place in it, and I think how confusing it must be, this whole wide world of ours, with all its weird, wonderful, terrible messiness. I can only hope that I’m clearing the fog away a little. I’ve read so many of Pratchett’s books, that they’re bound to come up. Still, I hadn’t expected my little patchwork random book-chooser to spit out another one so quickly. I own about four of Pratchett’s books, and this is one of them. If I recall correctly, which I probably don’t, Death tires of being death, and decides to go on the road… as a musician? …as a handyman? and leaves his work to his adopted daughter. Meanwhile, in Ankh-Morpork, rock and roll is discovered! Then lots of stuff happens, Death continues to speak in all capital letters, and I come to realize that the plot of Pratchett’s books isn’t so important, compared to his execution of them. Pratchett writes silly, silly, deeply serious books. This guy ponders pretty much the entirety of human existence through his comedic, fantasy novels. 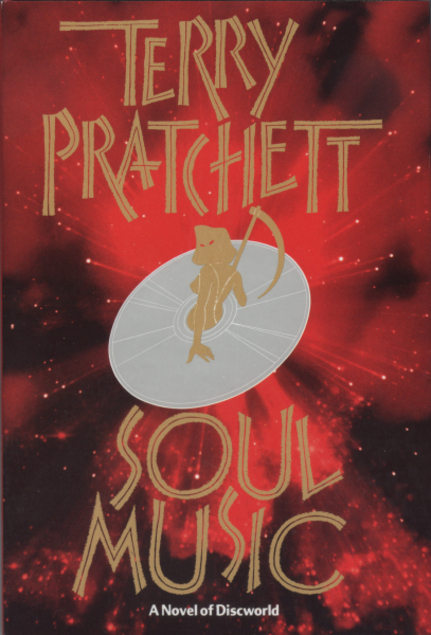 There are those who might move on by Terry Pratchett’s novels–though not many, because he’s sold millions and millions of books (I looked it up: 85 million+) all over the world–because of their fantastical content, and those people are sadly missing out. Go read a Pratchett novel. It won’t take long, and it almost doesn’t matter which one. I’m not gonna lie, Steven Erikson’s MALAZAN BOOK OF THE FALLEN series is a tough, tough sell. The first book, GARDENS OF THE MOON, is kind of a hot mess, even though it pushed all the right buttons for me. I know this because I’ve placed copies of GARDENS OF THE MOON into several people’s hands, and not one of those people has ever finished reading it. Oops! It’s a shame really, because the Malazan series is something special. A mammoth–ten volumes! with each volume pushing toward 1000 pages!–fantasy series that spans not just thousands, but millions of years. 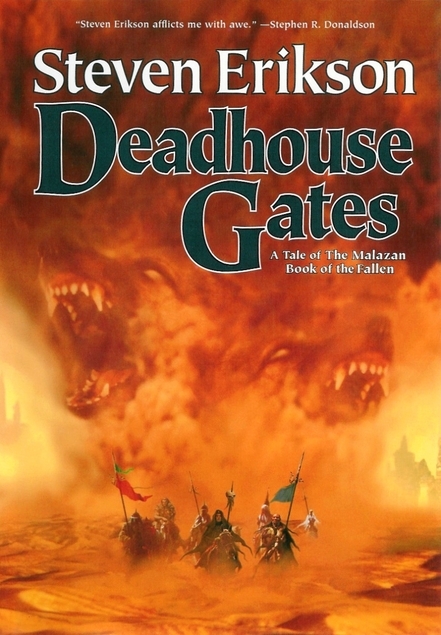 In retrospect, DEADHOUSE GATES, the second book in the series, is probably the best place to start. The story is much more focused, and events in this book are so significant that nearly every book following deals with its repercussions in some way. One of the primary characters in this book is an historian, but whose kind and considerate thoughtfulness impressed me, these being traits not often present in epic smash ’em, bash ’em stories like this one. Not a wizard, or a warrior, or an assassin, but a scholar who spends his time in the book bestowing small kindnesses on those around him. Shocking, I know. I started reading this series in my second year in graduate school, and it was a welcome distraction from my schoolwork. In spite of my hesitation at starting an (at the time) unfinished, multi-volume fantasy series, there was something about the title of that first book that intrigued me. GARDENS OF THE MOON seemed like a such a strange title for a fantasy novel. To be sure, this series (or this book) doesn’t pull any punches. “Book of the Fallen” is a pretty big clue to how grim and sad these books tend to get. That being said, I spent a lot of time with these books, and I’m very glad that I did so. It was bound to happen I suppose. I’ve come across a book that I believed I had read, only to realize that I probably haven’t. It’s funny the tricks that memory plays. I’ve read a synopsis of this book, now, and I have no recollection of it whatsoever. 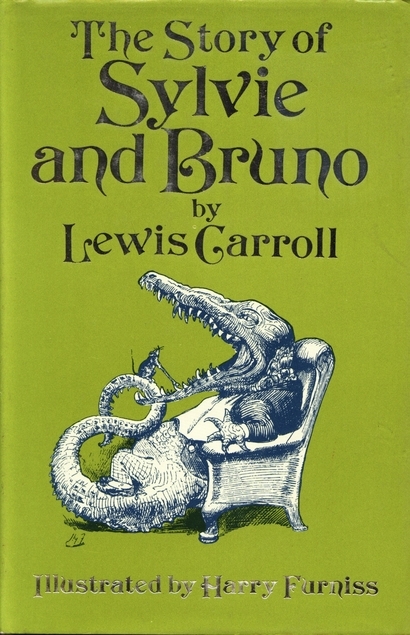 I have a memory of hanging out with a couple of friends in a dorm room in college, and reading aloud a book of Lewis Carroll’s. I had assumed that it was this book. Now I’m thinking, rather, that it was his long poem PHANTASMAGORIA, but ultimately I don’t know the truth of it. I’m almost wondering if that even happened at all. I mean, it does sound like something I might have done in college, sitting around and reading Lewis Carroll poetry aloud. Prompted, I expect, by my repeated ravings about THE HUNTING OF THE SNARK, which I memorized in its entirety. At any rate, I’m amused by the way that memories fade and rewrite themselves, and even those that seemed solid, scatter like mist when pushed against. Some people have described to me the way certain songs hook memories out of the pool of thought, and I’ve certainly experienced that, too. Books, for me, do a similar kind of thing. Often, recalling a particular book will bring to mind not just thoughts and feelings and memories about the book itself, but some or all of those things from the time and place in which I read it. For example, thinking of Dickens’ PICKWICK PAPERS, calls to mind the heat and light and slow watery meanderings of my time in Greece. It’s alarming, then, when a book that I may not have actually read in any fashion becomes a hook for a memory that probably did. It’s such a thin and fragile construction, our memory, that we rely on for our sense of self, more illusion than anything else. And so we all rumble and bumble about, filled with our mutual self-certainties, blissfully unaware–or is that just me, mostly–of how our selves teeter on such a tall, rickety construction of thought and memory. At any rate, I should probably (re? 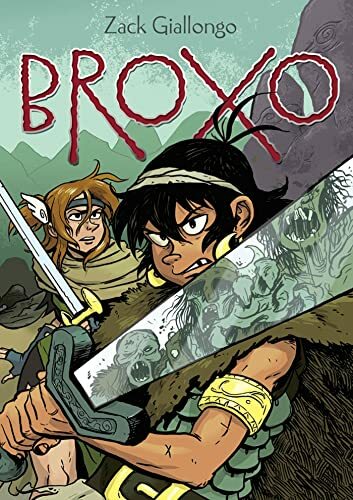 )read SYLVIE AND BRUNO. I have a dangerous fascination with epic fantasy series. These days I’m pretty hesitant to start a new fantasy series, because I know I’m in for a pretty long haul–in the case of something like Robert Jordan’s WHEEL OF TIME series it’s decades long! That being said, I never did get around to reading the second book in this series, and I don’t quite recall why. Maybe it was just weariness at the thought of reading another indeterminately long series, or maybe it was just that the series hadn’t been finished. Whatever the reason, I didn’t remember reading this book until I saw it on my list. I seem to recall a story about (and I haven’t looked up any plot summaries here) young royalty betrayed, and having to flee their homeland. (Only to return for vengeance/triumph in the later books, I assume.) There was some kind of barbarian invasion that seemed basically unstoppable. I remember a character stowing away in the hold of a ship, a trope which I seemingly never tire of. And that’s it. That’s about all I remember. Funny thing about memory. I spent five to six hours reading this book, probably, and that all that I have left of it after about five years or so. I don’t like speaking ill of books. I’d prefer to talk about the things that I really loved, but this book raises an interesting issue that I encounter from time to time. 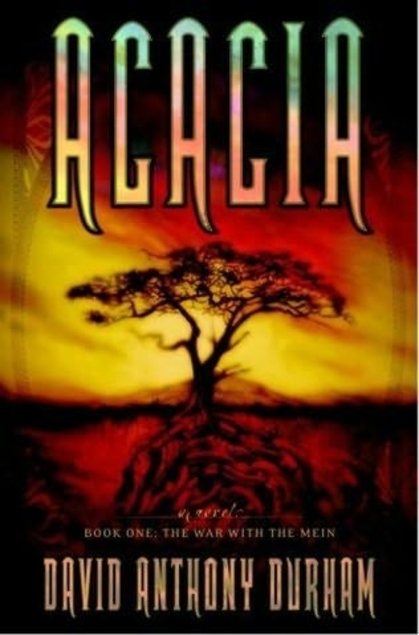 I do recall reading this book because I’d read high praise for it in one or two places. (I believe it even won an award or two.) I have this experience sometimes when I read a book that’s popular or gotten great reviews, and it just doesn’t click for me. There’s nothing wrong with the book, exactly, but it always leaves me with a feeling like I’m missing something. A punchline to a joke that I’m not getting. I have this feeling most often with Neil Gaiman, a beloved author, but whose work leaves me cold, somehow. It’s a strange feeling being out of step in that way. I can see the craftsmanship at work, but I can’t connect to it on some level. Anyway, it looks like according to Wikipedia, the film rights to this series have been optioned. So, I think Mr. Durham is probably doing all right, my lack of love for his series notwithstanding. The kicker, though, is that the first volume in any of these fantasy series is all setup. There’s very little payoff plotwise, usually. It’s quite possible the second and third books in this series do amazing and incredible things. I may never know… or maybe I’ll pick up the rest of the series one day.